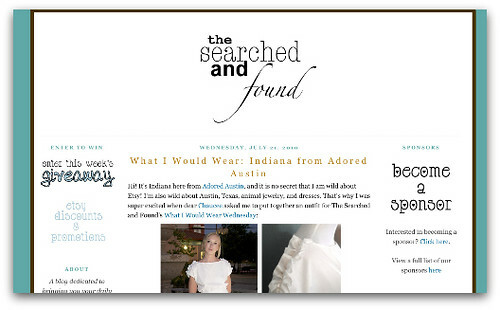 The Searched and Found is a new blog that specifically showcases Etsy shops. Chaucee, who runs S&F in addition to her own self-style blog, asked me to put together an outfit from Etsy for their weekly feature "What I Would Wear Wednesdays". I was more than happy to oblige (and yes, I included a piece of animal jewelry). To see my picks, go here. Watch out, Threadsence! I may live in this dress!